Compensation for Hurricane Damage to Office Buildings | The Voss Law Firm, P.C. Whether you are the owner or renter of a commercial office building, you share the same risk of a severe storm upending your life and your livelihood. While both the building’s owner and tenants are responsible for preventing and protecting themselves against hurricane losses, it can be difficult to tell whose insurance should be used to cover the damages. Attorney Bill Voss explores coverage options that can help protect against large losses caused by a hurricane, as well as policy extensions that may benefit owners and renters. Whose Insurance Pays for Hurricane Damage to Office Buildings? Office buildings may be owned by the occupier, but in many cases, these buildings are rented out floor by floor to commercial tenants. 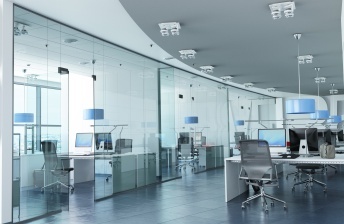 In general, the owner’s insurance should cover damage to building elements—such as walls, roof, signage, fences, and landscaping—while the renter’s business insurance would cover lost inventory and property owned by the business (such as office furniture, computers, and documents). It is up to each party to make sure their business insurance policy is tailored to their specific needs, and that their policies will include coverage for hurricanes or natural disasters. Building ordinance and law. The building owner may choose to add ordinance and law coverage, which pays for the increased cost of bringing a damaged structure up to current building codes. Commercial auto damage. Renters who rely on company vehicles (such as delivery vans, taxis, or shuttles) should have separate commercial auto coverage to replace flooded or ruined vehicles. A renter may not be able to collect payment for hurricane damage unless she has purchased comprehensive coverage or her commercial auto policy specifically includes natural disasters as a listed peril. New properties. Owners may not be covered for damage to properties that have been recently acquired or are under construction. These properties may be excluded under an existing policy (unless the policy has an extension for temporary coverage of new acquisitions) or has been protected by builder's risk insurance. Equipment breakdown. Insurance may not cover damage caused by a power outage, communications failure, or interrupted utilities without a policy extension. Both renters and owners may need equipment breakdown protection. For owners, this may extend to the boiler and plumbing systems, while renter’s insurance may cover losses due to ruined computers and telephone systems. Data loss. Renters should strongly consider data loss protection to pay for the costs of recovering lost electronic documents, files, or customer and employee records. However, these policies typically will not cover losses due to faulty installation, maintenance, or modification of computer systems. Business income loss insurance. Businesses are at significant risk if they are not protected by business income loss coverage. This insurance pays for normal continuing operating expenses after a hurricane, including employee payroll, costs of relocating to a temporary location, and costs of doing business at an alternate site until repairs are complete. Business interruption coverage also reimburses business profit losses for up to six months after a covered event, while an extra expense extension may allow renters to recoup even more of their out-of-pocket costs. Seasonal business insurance. If your business relies on the profits earned in a certain time of year, seasonal business insurance can replace income losses during peak times, containing the losses to a single quarter rather than the entire fiscal year. Umbrella coverage. Renters and owners may feel the benefits of umbrella coverage, which offers an additional amount above and beyond policy limits in large loss situations. If you are struggling to get fair payment from an insurer after a hurricane, our experienced insurance attorneys will work to get the coverage you deserve from your commercial insurance carrier. Simply fill out the form on this page today to contact an insurance attorney at the Voss Law Firm or order a free copy of our book, Commercial Property Owners Must Read This BEFORE Filing an Insurance Claim.